During your Pawleys Island vacation, you will enjoy plenty of great ways to spend your day. Whether it's lounging along our pristine beaches, playing a round or two on our amazing golf courses or getting an adrenaline rush at an amusement park like Family Kingdom or Wild Water and Wheels, your trip is bound to be memorable. But as the day turns to night, the perfect way to wrap things up is watching the sky sparkle at one of the weekly fireworks displays around the Grand Strand. Check out some of these dazzling pyrotechnic displays during your upcoming trip to Pawleys Island. Holding the crown as South Carolina's most visited tourist attraction, there are lots of great reasons to visit Broadway at the Beach. Broadway is home to popular destinations like Ripley's Aquarium, Hard Rock Cafe, Wonderworks and the Pavilion Nostalgia Park, as well as scores of unique shops and over a dozen fantastic restaurants. But if you only make one visit to Broadway at the Beach during your vacation, you can't go wrong with visiting on Tuesday and sticking around for their huge fireworks show at 10 PM. Blasting off over Lake Broadway, this show features hundreds of huge mortar shots lighting up the sky with colorful showers of sparks. During your vacation you'll definitely want to head to North Myrtle Beach and check out Barefoot Landing, a huge entertainment complex and home of the House of Blues and the Alabama Theatre. Barefoot Landing features plenty of great restaurants and dozens of specialty shops and boutiques, all situated amongst a beautiful saltwater inlet area and adjacent to the Intracoastal Waterway. Every Monday night during summer, Barefoot Landing hosts a world-class fireworks extravaganza. The show kicks off at 10 PM and you will be dazzled by the vibrant display that turns the sky into a kaleidoscope. Baseball is just more fun at the beach, and you'll definitely want to catch a Pelicans game while on your vacation. The Myrtle Beach Pelicans are the single-A minor league affiliate of the Chicago Cubs and have seen previous players like Brian McCann, Adam Wainwright, Jason Heyward and Joey Gallo graduate to MLB stardom. The Pelicans feature a great promotional schedule with themes like Elvis Night, Halloween Night and Woodstock '99 Night, and throughout the rest of the season they will feature fourteen nights of post-game fireworks. A full list of dates for their firework show nights can be found on their website. If you've already booked your Pawleys Island vacation, we'll see you soon! If you haven't, what are you waiting for? Let the Litchfield Company provide you with amazing accommodations at our partner resorts. 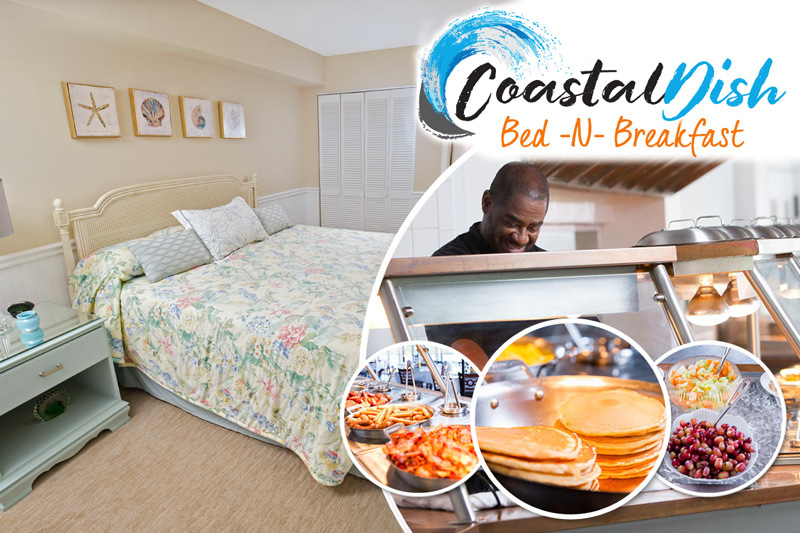 From cozy and modern villas at True Blue Resort and Pawleys Plantation Resort to modern oceanfront condos at Litchfield Beach and Golf Resort, we are sure to have the perfect spot for your Pawleys Island getaway.